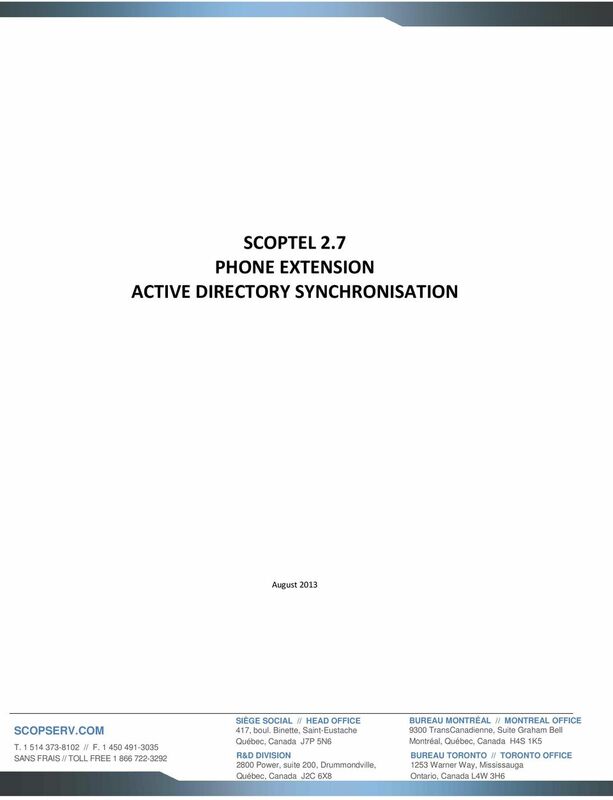 Download "SCOPTEL 2.7 PHONE EXTENSION ACTIVE DIRECTORY SYNCHRONISATION"
8 Follow these steps: 1. Check the Update existing Extensions? 2. Check the Executes a Commit if we detect changes? 3. 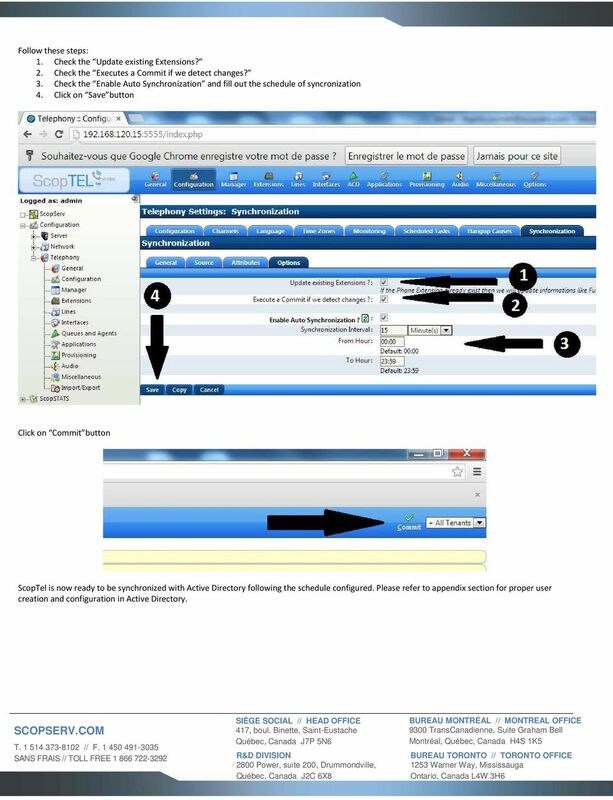 Check the Enable Auto Synchronization and fill out the schedule of syncronization 4. 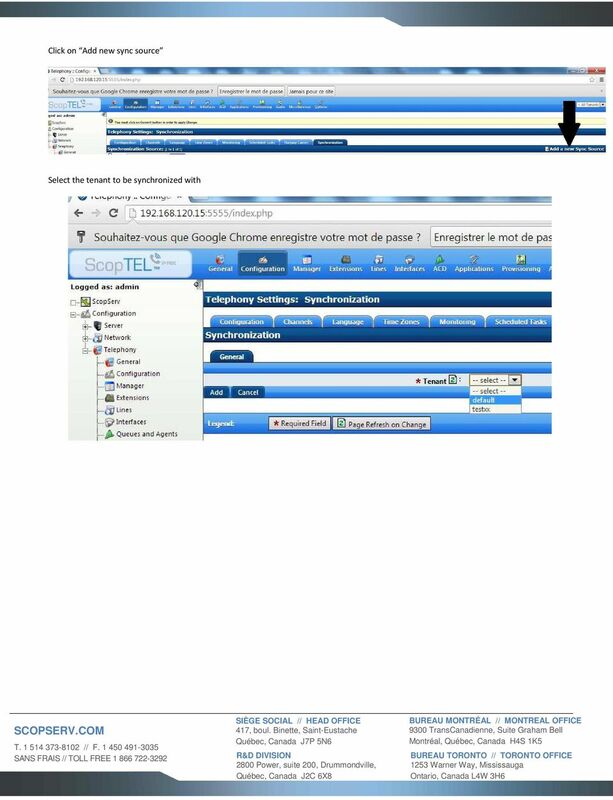 Click on Save button Click on Commit button ScopTel is now ready to be synchronized with Active Directory following the schedule configured. 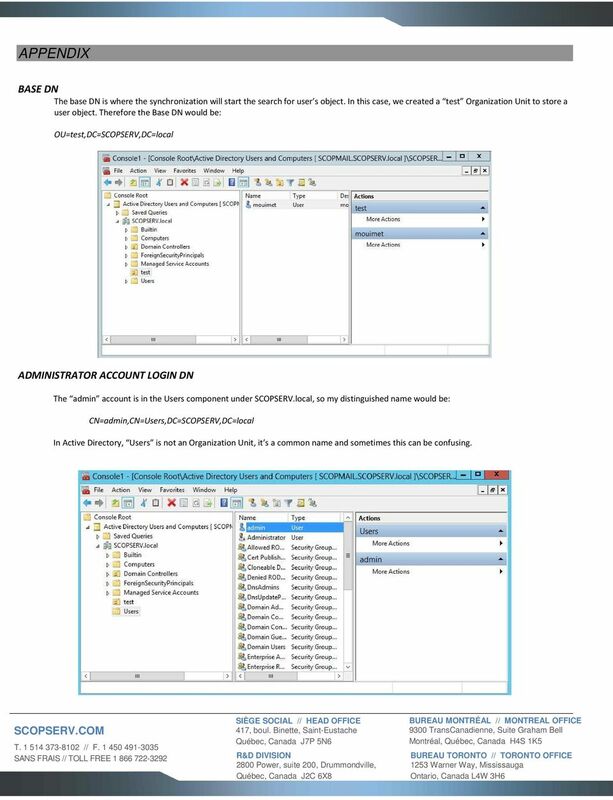 Please refer to appendix section for proper user creation and configuration in Active Directory. 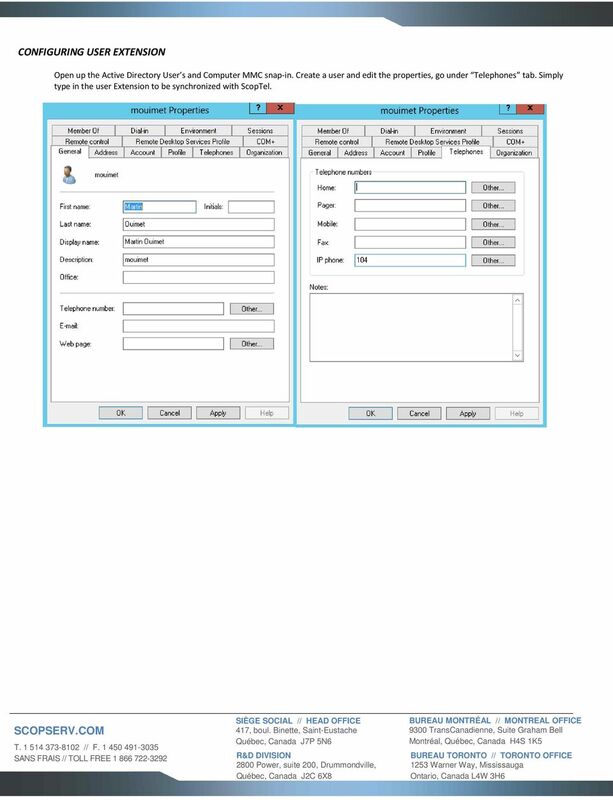 9 APPENDIX BASE DN The base DN is where the synchronization will start the search for user s object. 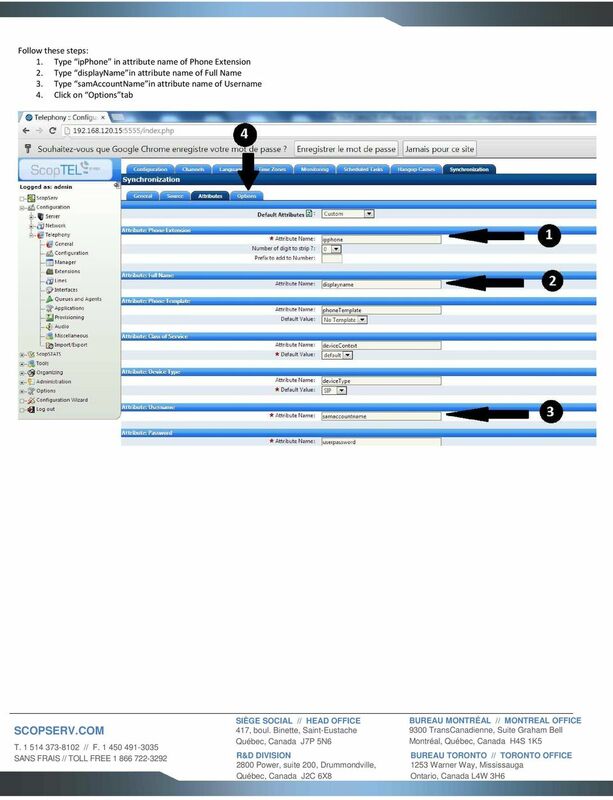 In this case, we created a test Organization Unit to store a user object. 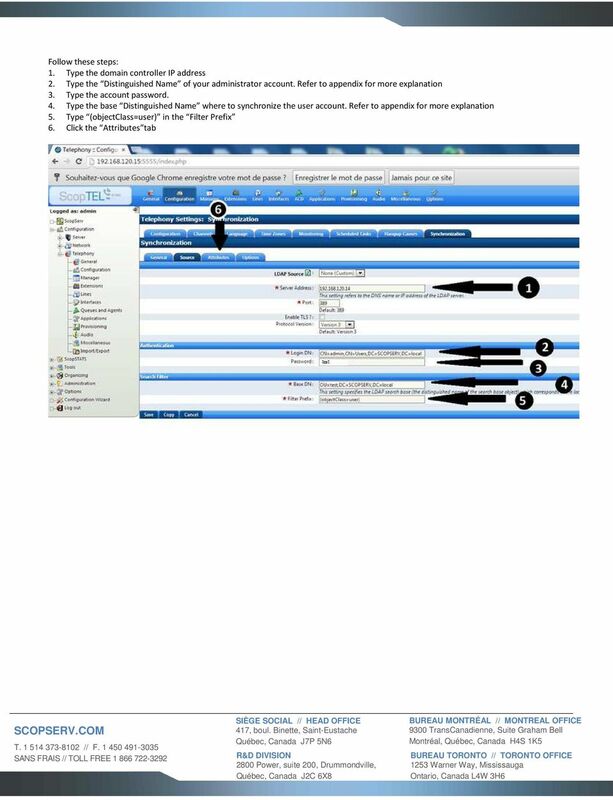 Therefore the Base DN would be: OU=test,DC=SCOPSERV,DC=local ADMINISTRATOR ACCOUNT LOGIN DN The admin account is in the Users component under SCOPSERV.local, so my distinguished name would be: CN=admin,CN=Users,DC=SCOPSERV,DC=local In Active Directory, Users is not an Organization Unit, it s a common name and sometimes this can be confusing. 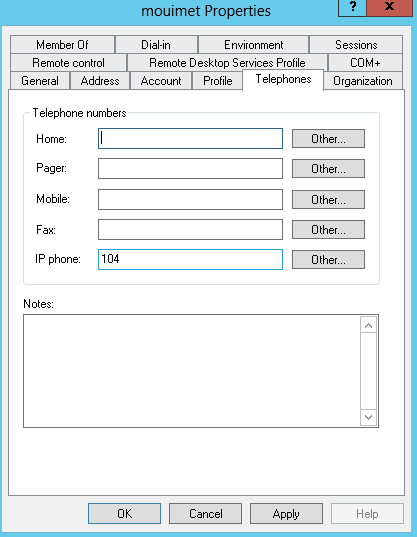 10 CONFIGURING USER EXTENSION Open up the Active Directory User s and Computer MMC snap-in. 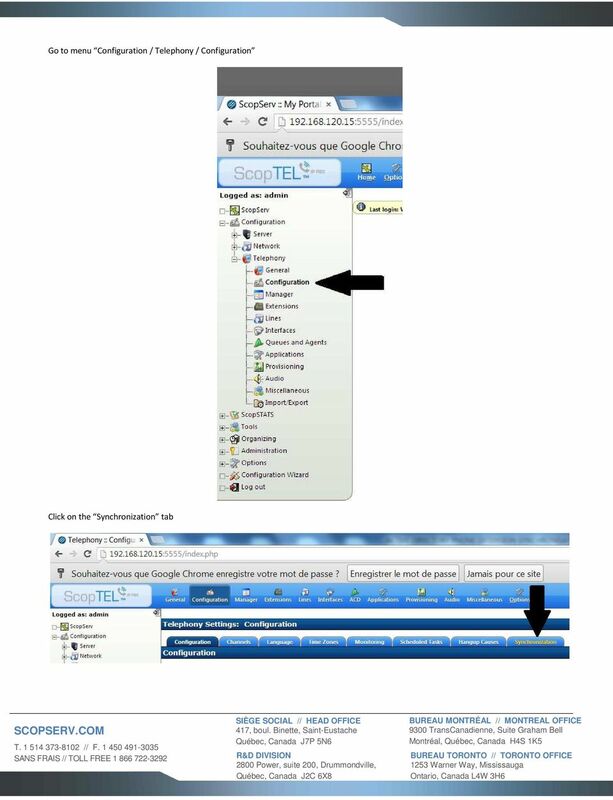 Create a user and edit the properties, go under Telephones tab. 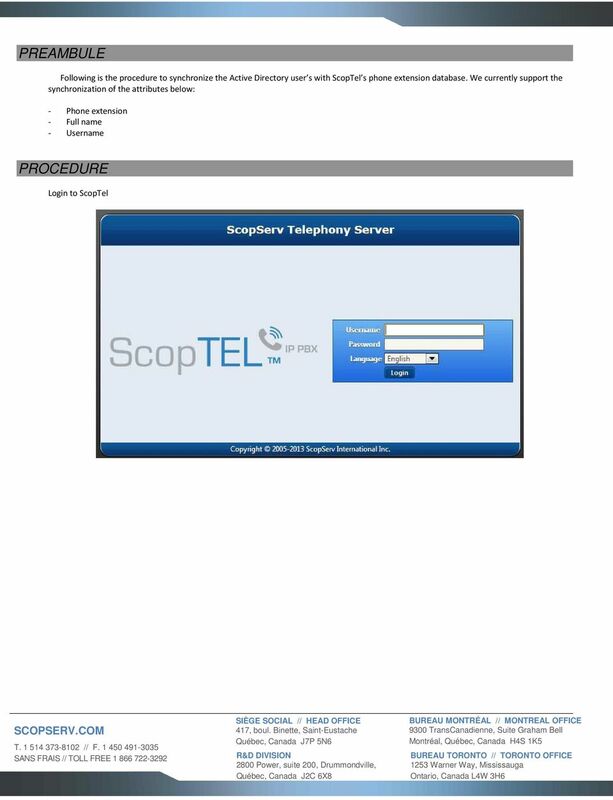 Simply type in the user Extension to be synchronized with ScopTel. 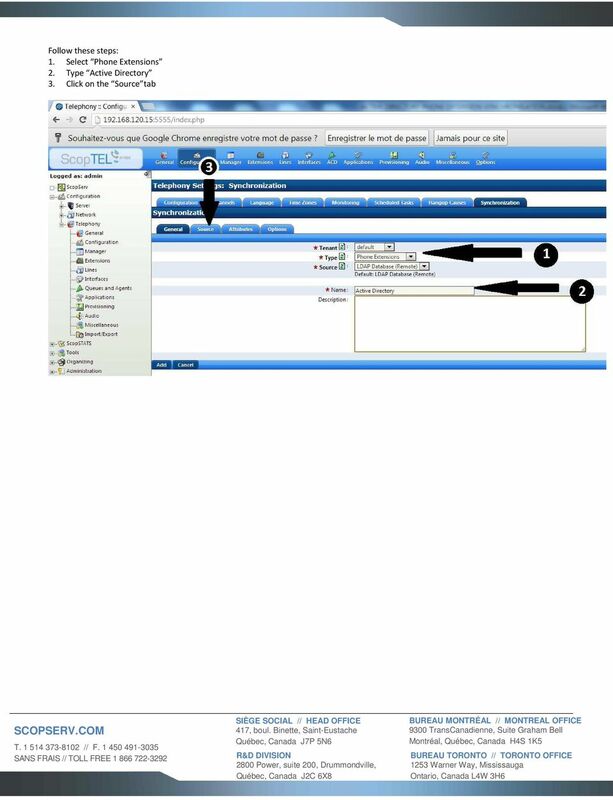 Tutoriel VPN OpenVPN sous Centos 6.5. Dans un premier temps, il faudra avoir une connexion à Internet, utiliser un serveur DNS et désactiver SELinux. Comment vous inscrire à une compétition?